The Parade Hall, built in the 19th century, was designed “to protect the Prussian soldiers’ uniforms from the rain”. 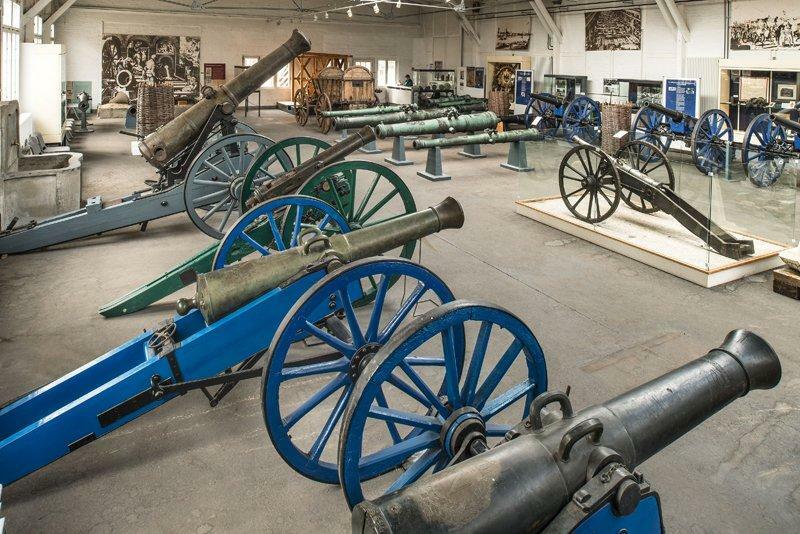 Today, it is home to an exhibition of historical cannons, including some magnificent examples from the 16th century. The collection of weapons is a reminder of the fact that, from the 18th century onwards, Spandau was Prussia’s armoury. Not far from the Citadel guns and cannons were built and gunpowder made. During the First World War as many as 70,000 people were employed here in the armaments industry.